Although I'm not a foodie but I always use it to find good restaurants. They also provide lots of details of the restaurants, even the wifi password. 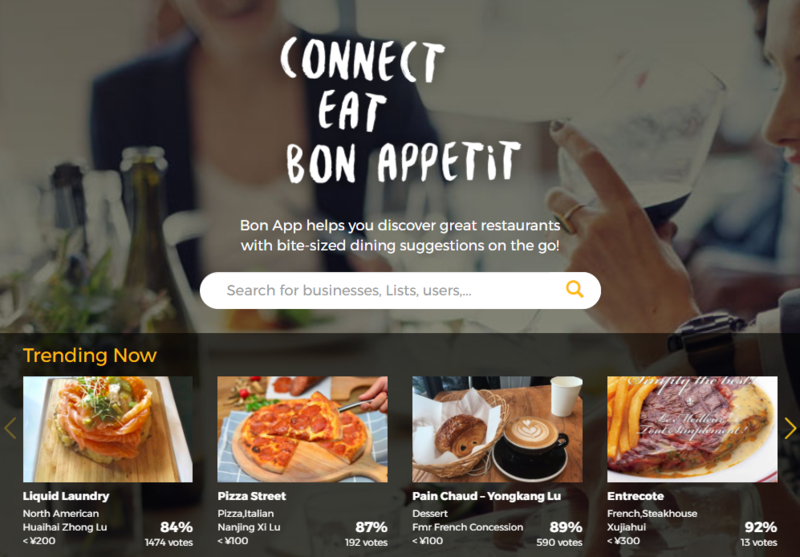 Bon App, a platform for restaurant reviews and for foodies to connect, has now gone live in Beijing, following its launch across other destinations in Asia, including Shanghai, Tokyo, Bangkok, Hong Kong, Singapore, Taipei, Macau, and Guangzhou. 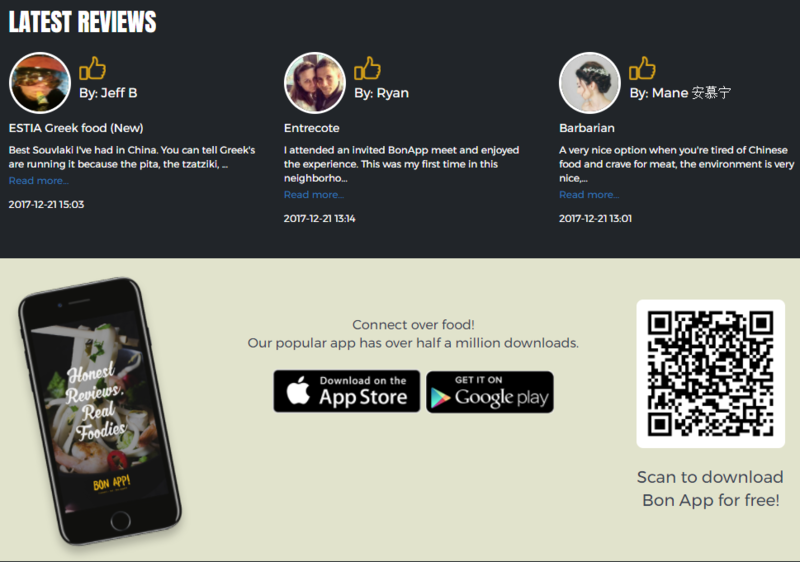 Through the app, you can review restaurants and bars, book tables, and check-in at F&B establishments around town. 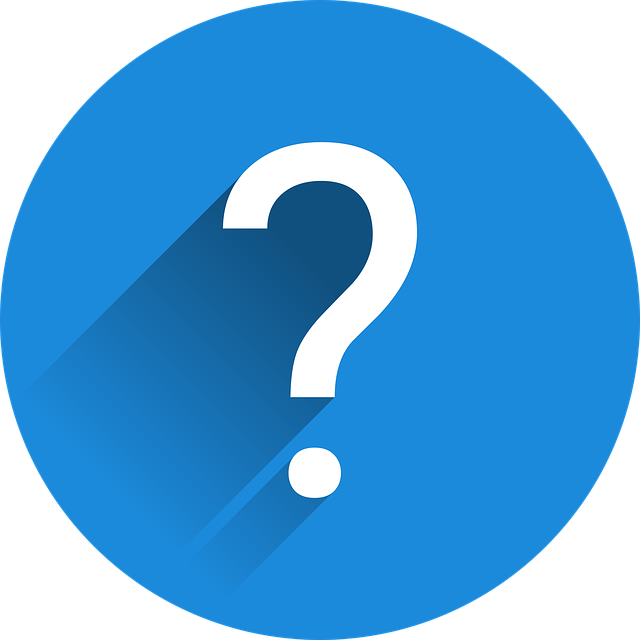 A feed that contains your bookings can be shared among your contacts and friends so that you can keep in touch and recommend new experiences easily, as well as see what everyone else is up to.